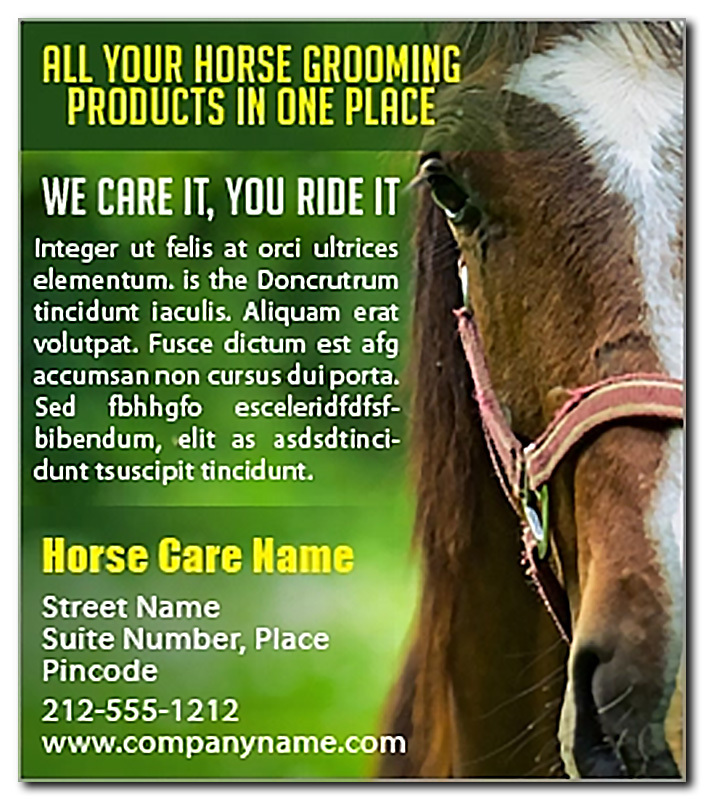 A 3.5 x 4 inch square corner horse care magnet can be utilized for marketing stud farms , stallions or other pet care services. 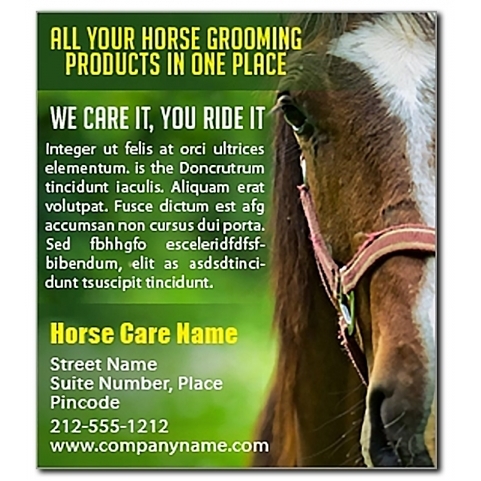 This magnetic sticker can be customized with business information and utilized against any metallic surface. This is typically favored by start up businessmen or those who wish to announce some discounts or other benefits offered in a season.